'Tis the season. No, not that season. 'Tis the season and specifically the week, when the streets are jammed with Uhaul trucks, the curbs are filled with discards (or perhaps upcyclable treasures? ), the pizza joints can't keep up with the delivery requests. The students are coming, returning or simply moving. I'm sure there's some statistic about the number of apartments that turn over on September 1st but we don't really need that to know, do we? After the trip to the box store of choice you may find your nest "fully-equipped" but lacking in charm and personal touches -- we're here for you, with original art for your walls, handmade dishes and mugs for your morning coffee, even a cozy place to to rest your tablet. 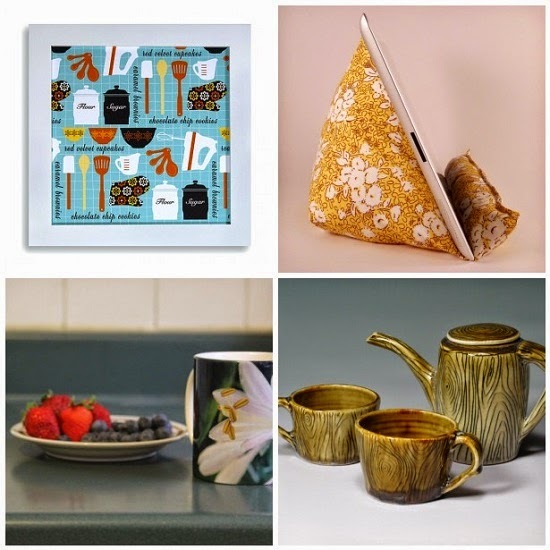 Check out some handmade goodies to truly make your house, dorm room or apartment your home.